عندما تزور هذه المدينة رائعة الجمال، ستشعر أنك في بيتك في شقق نايتسبريدج الذي يقدم لك إقامة متميزة و خدمات عظيمة. يمكن من هنا للضيوف الاستمتاع بسهولة الوصول إلى كل ما تقدمه هذه المدينة النابضة بالحياة. يشكل هذا الفندق ملاذاَ مريحاً للاسترخاء ويمنح زواره فرصة للاستجمام والتجدد، وهو يقع على بعد خطوات من المعالم السياحية الكثيرة للمدينة. إن شقق نايتسبريدج حريص على توفير الراحة للنزلاء، فلا يوفر الموظفون جهداً في تقديم أفضل الخدمات وضمان حسن الاستقبال. إن واي فاي مجاني في جميع الغرف, مرافق مخصصة لذوي الاحتياجات الخاصة, تسجيل وصول/مغادرة سريع, تخزين الأمتعة, واي فاي في المناطق العامة هي جزء فقط من الخدمات التي تميز شقق نايتسبريدج عن باقي الفنادق في المدينة. تتضمن كل غرف النزلاء وسائل الراحة والتسلية المصممة خصيصاً لضمان الراحة القصوى للضيوف. كما أن مجموعة الخدمات الواسعة الموجودة في الفندق لضمان راحتك تترك لك الكثير من الخيارات لقضاء وقتك أثناء فترة إقامتك. إن شقق نايتسبريدج هو مكان مثالي للمسافرين الذين يتطلعون إلى الراحة والاستجمام في المدينة. يجب على النزلاء إخطار العقار مسبقًا لتأكيد إعدادات الأسّرة في كل غرفة. I am not too sure where the the people from whom you have received positive reviews from but it certainly wasn't where my son and grandson stayed .My wife and I selected this property as a gift for my son and grandson for their weekend getaway and after seeing the photos they took of their apartment I feel quite embarrassed . The mould and grime was not just confined to one room it was prevalent throughout the entire apartment. I will have no hesitation infoming everybody who asks me to research their choice of accommodation very thoroughly but most importantly DO NOT STAY AT KNIGHTSBRIDGE APARTMENTS and I will use the photos to stress my point. My overall stay was great, the place is simple. Parking was not difficult for my stay. The wifi was ok. Pros: Staff are friendly Not far from the CBD 7-11 just right around the corner Cons: No elevator if you have check in bags. Otherwise it’s worth the money for somewhere quiet yet not too far from the CBD area. 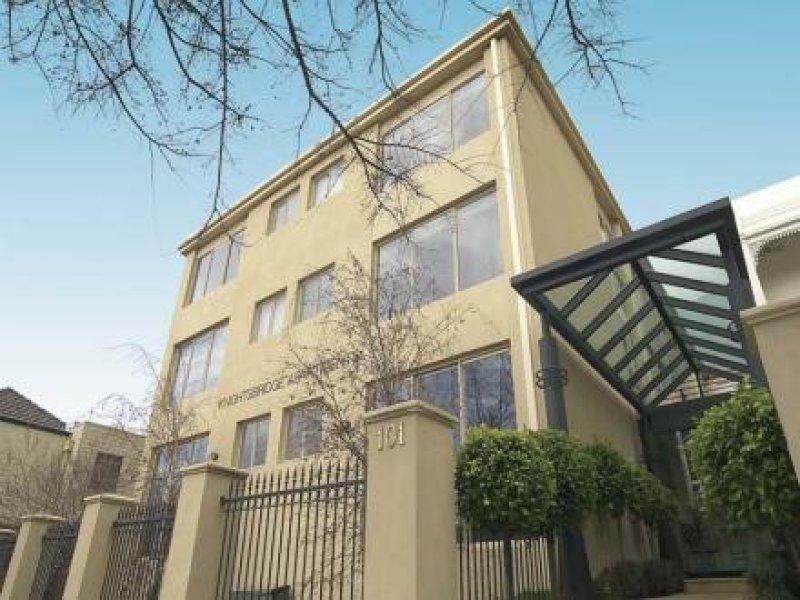 Perfect location within walking distance to Jolimont train station and the MCG. Limited parking available with only a handful of spots available on site. Staff were very friendly. Room was a good size and bed comfortable. Unfortunately the bathroom was a massive let down. Shower didn't work properly. Hot and cold shower knobs kept falling off when adjusting. Very close to mcg and rod laver. Old deco but tidy room. Very helpful and friendly staff. The only thing im not happy about was the hot water service. It was either too hot or too cold for winter day. I followed the instruction to adjust the tap but still couldn’t make that stay at constant temp. Cleanliness of room. Friendliness of the staff. The service provided. The staff were very accommodating and helpful through out my stay. The room was clean and tidy and well prepared each day. The staff knew the area and were able to guide you to locations easily. Nothing was too much trouble for them. We enjoyed out stay. It's not fancy by any means so if you're super fussy you may not love it but if you want something well priced right near everything then you'll be happy. It was quiet and staff were friendly. In a great location, close to the MCG & CBD but sadly in need of a makeover, like most of its competitors in the same area. The interior needs a complete refit and dragging into the 21st century. Parking is limited and very subject to being blocked in, especially bad for those with an early start in mind. Paint hanging off bathroom roof. Poor paint job in bathroom. Otherwise facilities and location great. Fantastic location, great staff but the facilities were a little basic. Helpful staff, free parking, walking distance to hospital. Great location for anything at MCG or the tennis courts/arenas. I went to a concert for one night, so it was perfect for me. Bit run down but I would stay again. Fantastic service from the staff. Pleasant Enough. Not a four star hotel. 3 star. Staff were lovely, room was clean. Bed was good. Location was GREAT for trams into city, and if your into sports, youd be crazy not to stay here for its promixity to stadiums. Downsides included scungy kettle, shower head built for 4ft tall people, and someone went a little crazy with the yellow paint in the bathroom and painted half the tiles as well as the walls. Also the shelf was above the toilet for soaps, and toiletries, so had to be careful things didnt end up down the loo, had a couple of VERY near misses. Would stay here again though 100%. The only good thing this place has going for it is it's location!! Cleaning standard poor, rooms need an update and sound proofing as we had very mousy neighbors who had no consideration for anyone else. It was the worst stay, We booked the hotel of agoda and on the site it looked like a clean, spacious very modern lovely place. When we arrived it looked not to bad from the outside as soon as we stepped into the room there it all was. We were fooled. It was dirty, the kitchen had the worst cooking appliances. The bathroom - we had to literally kneel in the shower as the shower head was to short. the shower sliding door kept coming back so we had to hold that. The bed- one of the worst i should say, had restless sleep as it was so uncomfortable. I feel they should not be rated that high as once me and my partner got in we checked out the apartment on the internet for reviews and most of it all was so negative. But it was to late for us as we had already payed for our 2 night stay and bond. The pictures of the apartment online were very deceiving as well. 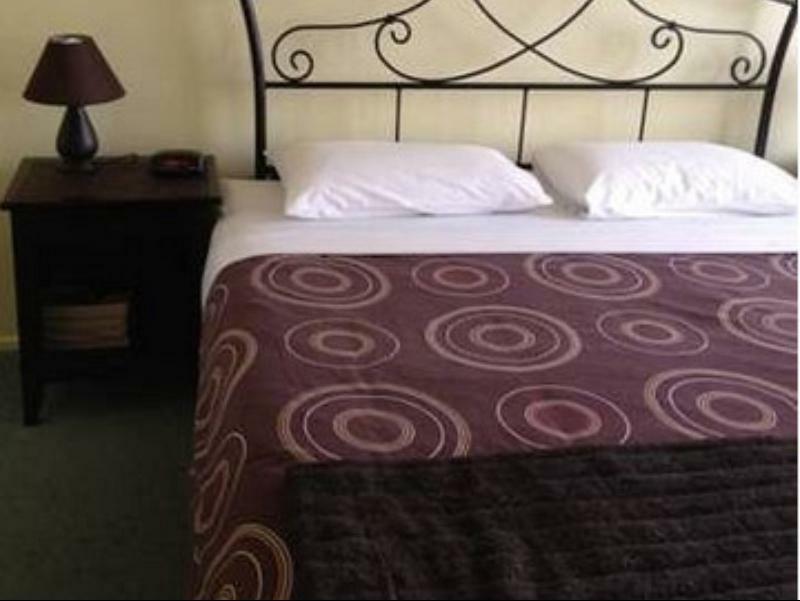 "King size" bed was 2 singles put together, mould in Window tracks, heater didn't work properly, felt like we were climbing a mountain to get into shower, kept finding black hair on bedding, our room and hallway reeked of cigarette smoke from other guests. Parking was disgraceful. Over all will never stay here again. Staff allowed me an early check in before midday and this was much appreciated.